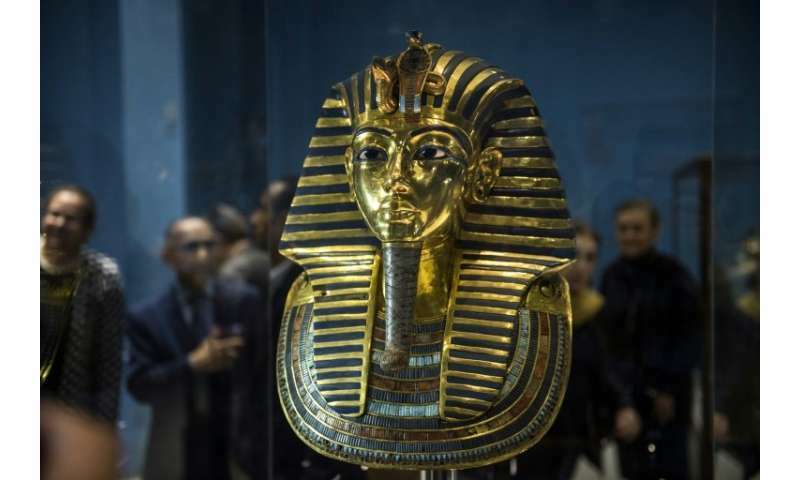 Egypt's antiquities ministry said on Sunday that tests had debunked a theory that there are hidden chambers next to the tomb of Tutankhamun in the Valley of the Kings. Experts used ground penetrating radar (GPR) which provided "conclusive evidence of the non-existence of hidden chambers adjacent to or inside Tutankhamun's tomb," the ministry said in a statement. More details will be announced in a speech later in the day by the head of an Italian scientific team, Francesco Porcelli, of the Polytechnic University in Turin, the statement said. It said Porcelli had submitted a report that "concluded, with a very high degree of confidence... the hypothesis concerning the existence of hidden chambers or corridors adjacent to Tutankhamun's tomb is not supported by GPR data." Previous scans had suggested the possibility of hidden chambers, although experts disagreed on the results. British Egyptologist Nicholas Reeves had theorised that the tomb was in fact that of Nefertiti, the wife of Tutankhamun's father, King Akhenaten. The theory held that when the boy king died unexpectedly at a young age, he was rushed into the outer chamber of the tomb in southern Egypt. Akhenaten was known for trying and failing to force Egypt to convert to monotheism. DNA evidence has shown that Akhenaten was Tutankhamun's father, but Egyptologists do not agree on the identity of his mother. The Egyptian ministry of antiquities is on record for hiding (and denying) things, over and over and over again. It defines their professional history and record. Dig into it, if you doubt what I say here. Well K, since I do not have any interest in reading your comicbook source materials? Guess I'll just put my shovel away. Well , not so fast . The types of soil where the Valley of the Kings is located are an alternating sandwich of dense limestone and other sedimentary rock and soft layers of marl( which is a calcium carbonate or lime-rich mud or mudstone which contains variable amounts of clays and silt ) it is located only 1800 meters from the edge of the irrigated land . Well met, if I understand your assessment of soil conditions? Much of the ground is too unstable to support subsurface chambers for centuries. So even if there had been other tombs? Those are probably collapsed by now. Just luck of the draw, that the DUI Kid Pharaoh's tomb survived! Metingunduz, your own link says "Good penetration is achieved in dry sandy soils or massive dry materials such as granite, limestone, and concrete." Not sure why you think there's much water in a material that is physically filled with calcium carbonate. The tomb builders weren't stupid and intentionally built where water wouldn't penetrate. Testaments to the dryness of the tomb include the 3300 year old paint job, an unrusted dagger made of meteorite iron, linen underwear, and numerous other items sensitive not just to water inundation but even to high levels of humidity. I think Mueller wants to subpoena them to see if there is anything that can be charged. Well P, Tutankhamun Trump's death is one of the earliest documented cases of injury and death of a drunken teenager suffering affluenza entitlement. Obviously not the last of the self-destructive gene inherited by the Trump lineage.